- Meratrim: an 8-week clinical study published in Obesity and Journal of Medicinal Food showed Meratrim led to significant reduction in weight compared to placebo. Subjects taking Meratrim also experienced smaller waist and hip circumference. Research has shown you can lose significantly more weight than you would with diet and exercise alone. - ChromeMate: found in studies at Georgetown University and University of Texas to support healthy blood-sugar and cholesterol levels, and preserve healthy body weight. - Green Tea Extract: shown in numerous studies, including one published in the American Journal of Clinical Nutrition, to result in sustainable weight loss, when combined with a healthy diet and exercise. If you are serious about losing weight, and you have tried every fad that springs up from Dr. OZ, then you owe it to yourself to try Burn HD. 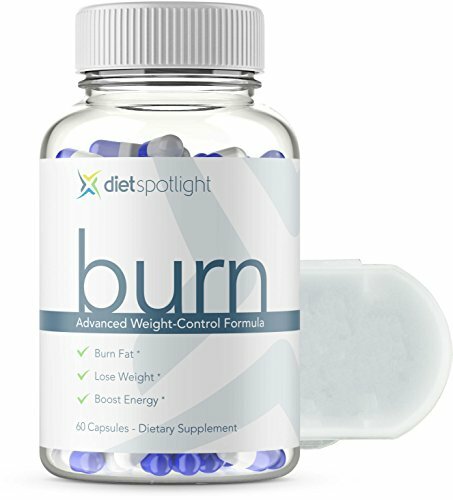 Without falling for the fading fads, Burn HD has been formulated to help you lose weight faster and more effectively when combined with diet and exercise. Offering a product formulated with scientifically back ingredients is a great start, but what really sets Burn HD apart is the service behind the product. Our team of weight loss experts help hundreds of customers each day successfully continue down their weight loss path through tried and true advice and guidance. Our dedicated team of advisors not only believe in the Burn HD program but have also gone through their own weight loss journeys. NOTE: Please do not take if you have a sensitivity to caffeine. Do not take with caffeinated drinks like coffee or tea. EFFECTIVE SUPPLEMENT: Meratrim, the main ingredient in Burn HD, has been shown in 3 randomized, double-blind, placebo-controlled studies to significantly decrease body weight, and reduce waist and hip circumferences when combined with diet and exercise. MORE EFFECTIVE THAN DIET AND EXERCISE ALONE: In a double-blind clinical study, Meratrim, the main ingredients in Burn HD, was found to be 4 More Effective in weight loss than diet and exercise alone. SUPPORT HEALTHY BLOOD SUGAR LEVELS: ChromeMate, an ingredient in Burn HD, has been shown in clinical research to help support healthy blood sugar levels, cholesterol levels and weight management. STOP PROCRASTINATING: The time to start making positive decisions for your future, and your family's future, is now. You cannot control time, but you can control your lifestyle and your decisions. MORNING BOOST: Included in Burn HD is a dose of caffeine to give your day a nice boost. Please do not mix with caffeinated drinks. Consult your physician if you are sensitive to caffeine before starting Burn HD. View More In Fat Burners. If you have any questions about this product by Dietspotlight, contact us by completing and submitting the form below. If you are looking for a specif part number, please include it with your message.